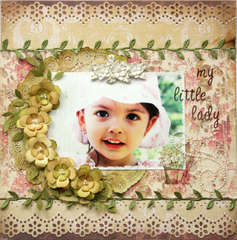 Add a touch of vintage to your cards, layouts and papercrafting products. 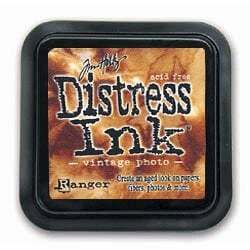 Among the most popular of Tim Holtz's Distress Inks, the Vintage Photo 2" x 2" ink pad adds a realistic stained or aged look to your projects. The fade-resistant, water-based ink will ensure your project looks great for years to come. 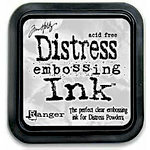 All the Tim Holtz dye inks are acid-free, nontoxic and safe to use on your photos. Reinkers available (sold separately). I have to say that I probably use this ink on EVERY one of my layouts. It was a must have when it first came out and is a staple in my scrap supplies. If I don't have it with me at a crop, I will buy a new one because I use it that much. It is a mid range brown that has a tinge of yellow to it. I use it to distress the edges of almost everything I do. A definate must have ink in your collection. This was the first one I got and it is my favorite! I probably use this more than any other color out there! (Of course, I do only have 3 so far...) It is so versitile - you can go light or darker, it works great on pictures, makes a great stamp color. 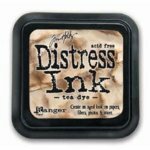 If you're looking to buy into the distress ink line, this or black soot should be your first purchases! Happy scrapping! 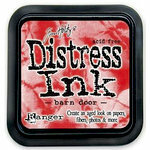 Love, Love, Love Tim Holtz's Distress Ink line. The Vintage Photo is my favorite. I find myself grabbing it for almost every LO. 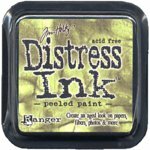 It is great for inking distressed edges, photos, handmade flowers, for making your own unique papers and cutouts. 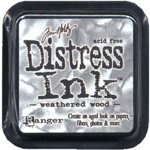 If you are going to by just one of these inks-pick Vintage Photo. You can't go wrong with it! This ink pad gives you that aged look. I love the color of this ink pad. I use this pad all the time for that aged look. It is a great color for almost any project. If you don't have any of these types of ink pads get this one. 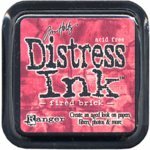 This was my first Distress Ink and I have only a few, but this is the one I use all the time. Everything is better with a little bit of ink! 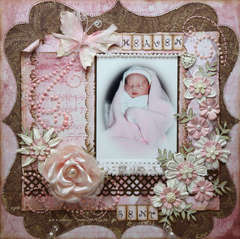 I am new to scrapbooking and this is one of my favorite products. Everything looks better and more polished with a little bit of ink around the edges...so easy and such a great touch to add depth and dimension. The Vintage Photo color is perfect! It's like a little bit of chocolate heaven without the calories!! I love this ink. I use it all the time. It is definatly something that I bought and am getting my moneys worth. Very very nice. 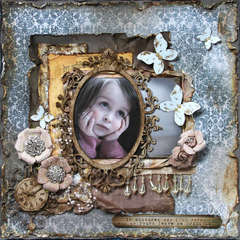 The color is great for making stuff antiqued looking and distressing, which I love to do. Definatly something I'd buy again and again and will buy as soon as I run out!! 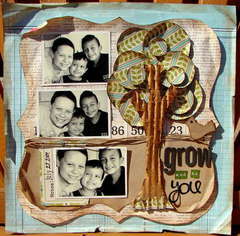 Great for distressing and stamping! 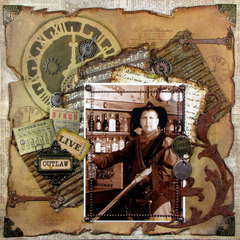 Vintage Photo is great for getting that distressed aged look you want for your layouts. All of the Tim Holtz inks are fabulous, but this has to be my favorite color. 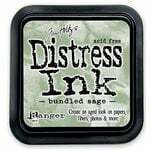 Use it for edging or distressing your paper. I've love to use it with my scroll clear stamps too. Highly recommend! I love love love vintage photo. I think that it is the perfect color to distress edges of, well, everything! It is a great brown color and I find that I use it a lot more than I use any other color. It also pairs well with tea die for a lighter brown/darker brown contrast look. Loved this color! Previous attempts to ink the paper edges did not turn out very well with colors and inks that I had. Decided to try this color - liked the name - inked my paper edge and wow!! Page looked fantastic and aged and just what I was looking for.